Continuing with the skeleton theme here. Last week I shared my Haunted Caskets project. This week I took those same old bones and put them to work decorating for the season. Check out my latest project for paper crafters. 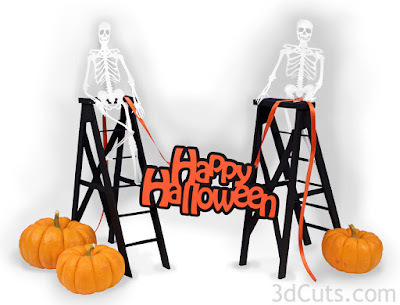 Here is Haunted Ladders with Skeletons Decorating for Halloween.